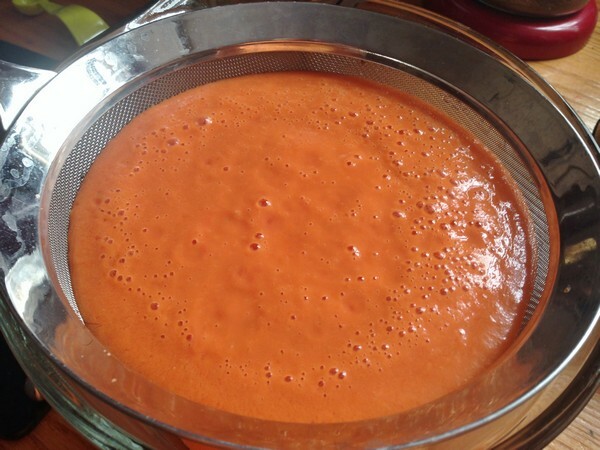 Now that it’s time for great tomatoes, do yourself a favor and give this amazing gazpacho recipe a try. Thank me in the comments. 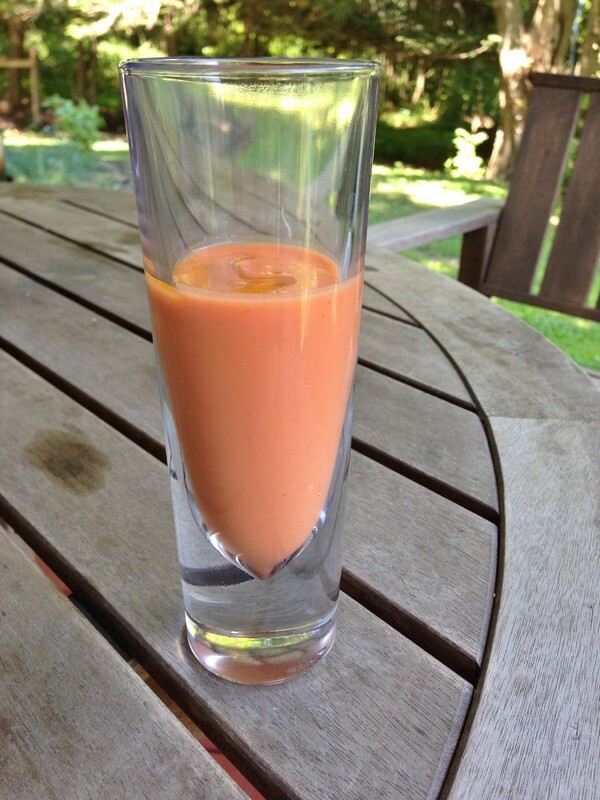 It’s become our go-to gazpacho, it’s so good! 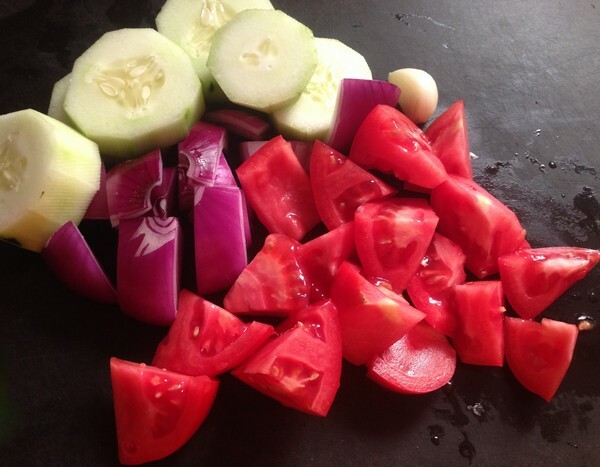 Combine the tomatoes, pepper, cucumber, onion and garlic in a blender. Blend at high speed until very smooth, about 2 minutes. With the motor running, add the vinegar and 2 teaspoons of salt, taste and add the Serrano chile if you’re using. The next part you might want to do in batches unless you have a big blender. 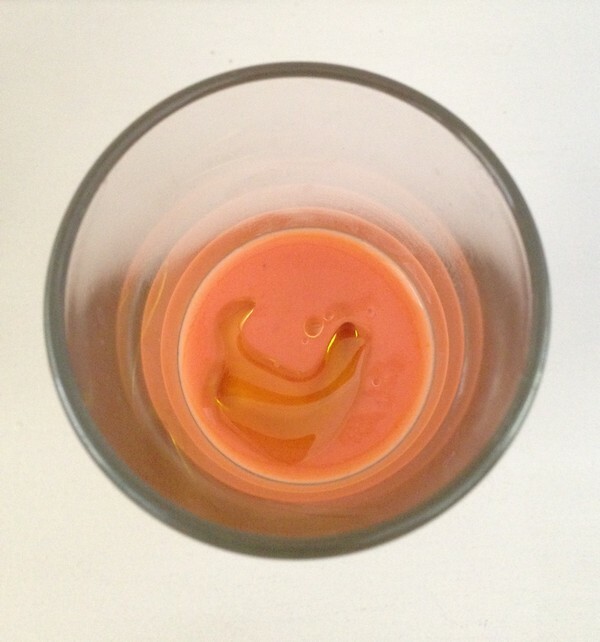 Very slowly pour in the olive oil, so the gazpacho can emulsify. 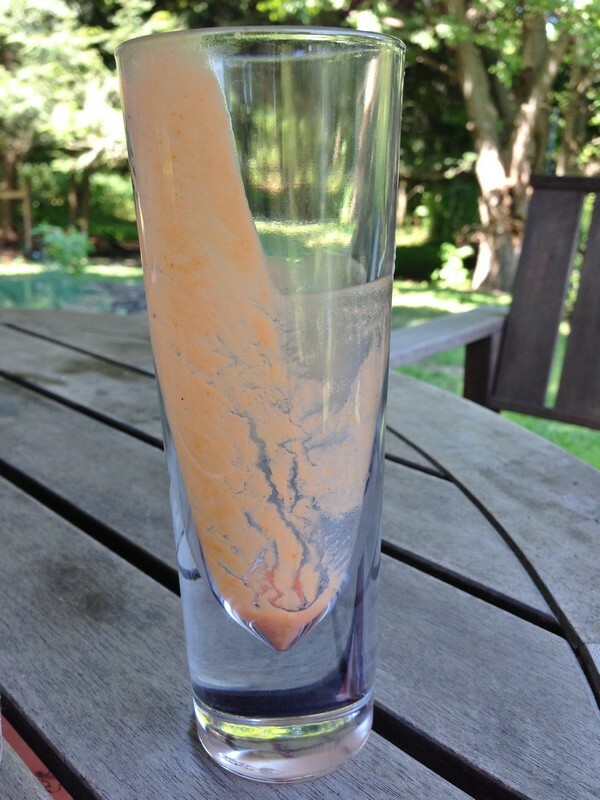 It will thicken and change color, becoming more orange. If it seems thin, keep slowly pouring in the olive oil and it will thicken up. Taste and adjust the vinegar, salt and oil as needed. Pour into a pitcher and chill for at least 6 hours or overnight. Serve in glasses with a drizzle of olive oil on the top and enjoy! My verdict: Fabulous! It took a few minutes, but the color did change and the texture and taste was perfect. You really need a blender for this – sadly, a food processor won’t give you a fine enough puree. I didn’t have the right kind of peppers, so I seeded and chopped a couple of pepperoncini, and they worked fine. Since you really taste the oil, be sure to use something delicious. If you wanted, a shot of vodka might be interesting. The original recipe suggests pouring the gazpacho over ice, which I think is a good idea; even though ours had chilled all afternoon, it never tasted really cold. And forget Christmas in July, I’m thinking about making a batch and freezing it, so it can be August in the middle of January! Preheat the oven to 325° degrees. Line a baking sheet (or two) with parchment paper. 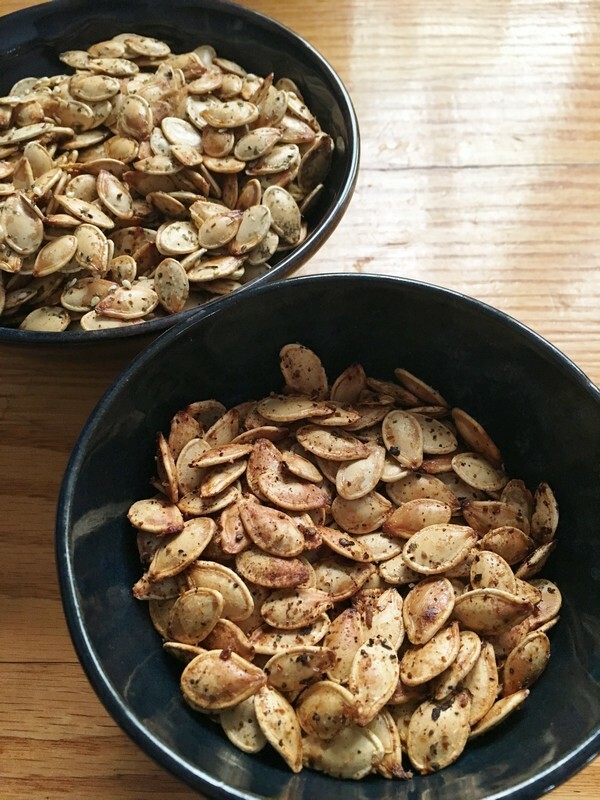 Place the pumpkin seeds in a large bowl and fill with cool water. 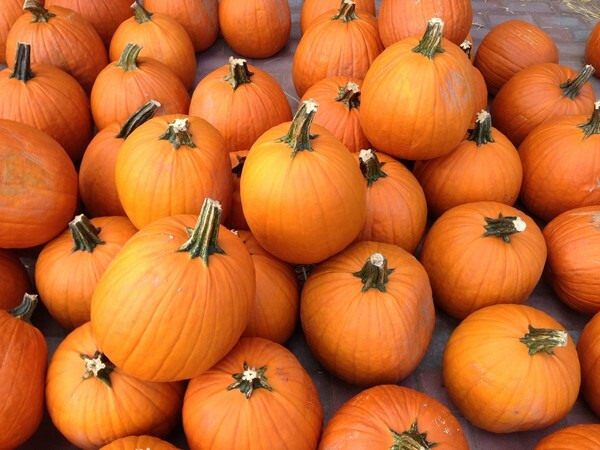 Agitate the seeds with your hand until the slimy pumpkin stuff starts to separate. It will sink to the bottom of the bowl. 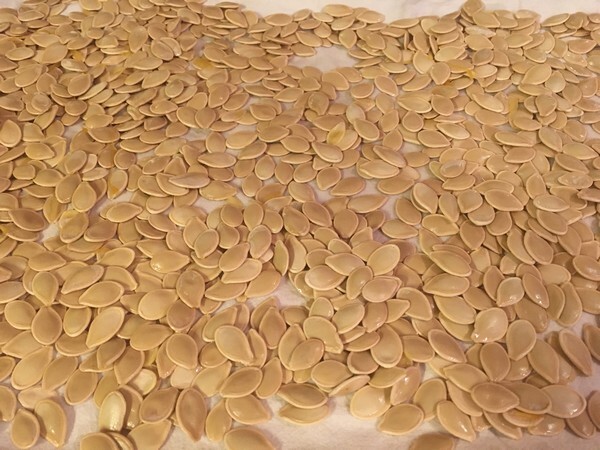 When the seeds are clean, scoop them up with a slotted spoon and spread them out to dry on a clean dish towel. Pat them dry and put in a bowl with the olive oil and salt. Toss to coat. Spread evenly on the baking sheet and roast for 15 minutes. Stir and roast for another 15-20 minutes, until they are golden brown and crunchy. Remove from the oven and sprinkle with your choice of spices. Taste and add more spices and salt as needed. Serve and enjoy! My verdict: I did two batches, one with a Turkish spice blend (cumin, peppercorns and Aleppo pepper) I found in the cabinet and one with a za’atar mix. They were both really good. The za’atar had the traditional sesame seeds in it, which were great with the pumpkin seeds. The Turkish blend was a little spicier and also really good. 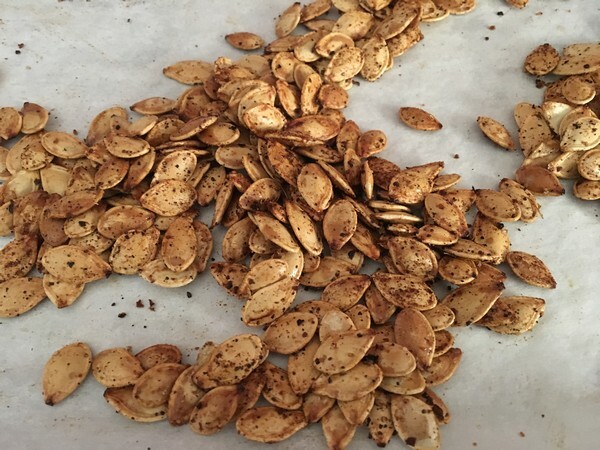 I let my seeds dry overnight so they would be good and crunchy. If you can use a dish towel for them to dry on, it works better than paper towels, which tend to stick to the seeds. I also saved and froze in one-cup packs a couple of bags for future projects (like pumpkin seed brittle), so stay tuned. In an ongoing search for healthier snacks (i.e. 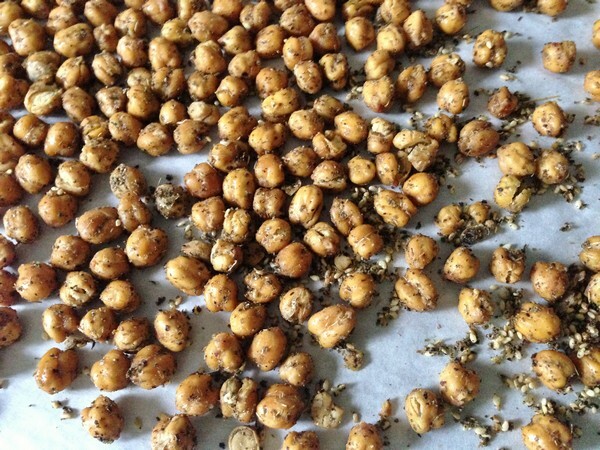 not chips), the Accidental Locavore recently came across a bunch of recipes for roasted chickpeas. These, from the NY Times, are super easy, and probably pretty heathy, but you do need some time to let them dry before you roast them. Makes a good-sized bowl to snack from. 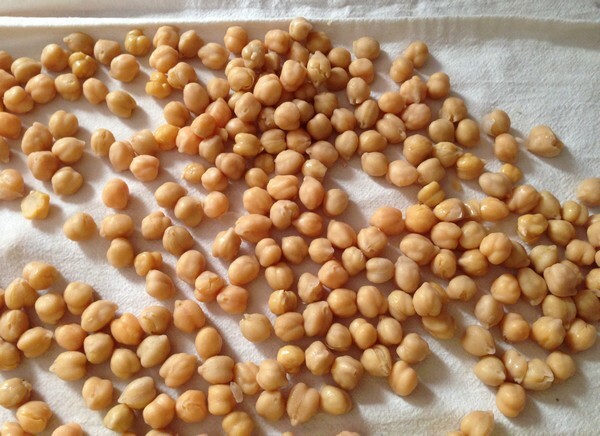 Spread out chickpeas on a paper towel. Pat dry, then let dry for about an hour. Place hot chickpeas in a bowl and drizzle with olive oil, za’atar and salt. Serve and enjoy! My verdict: A surprisingly flawed recipe from the “paper of record”. A few of my chickpeas were actually crunchy, most were just sort of tough. With both these and the crunchy mushrooms, I used the convection setting on my oven because I figured it would add to the crunch. Now I’m not so sure. Anyone have any ideas? I did let them dry for most of the morning, so it wasn’t that. The za’atar is an interesting blend of spices and would probably be great on warm chickpeas or on a chickpea salad. If I tried these again, I would first toss them in the oil and za’atar and then roast them. That way, although they wouldn’t be as healthy, they might have a better chance of being crunchy and the za’atar wouldn’t all fall to the bottom of the bowl. 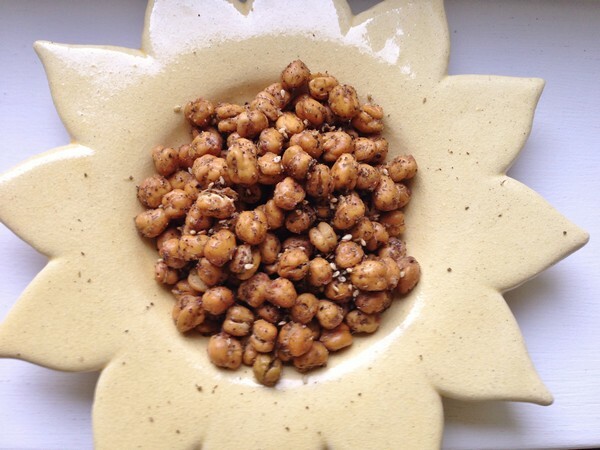 Have you made crispy chickpeas? How did you do them? 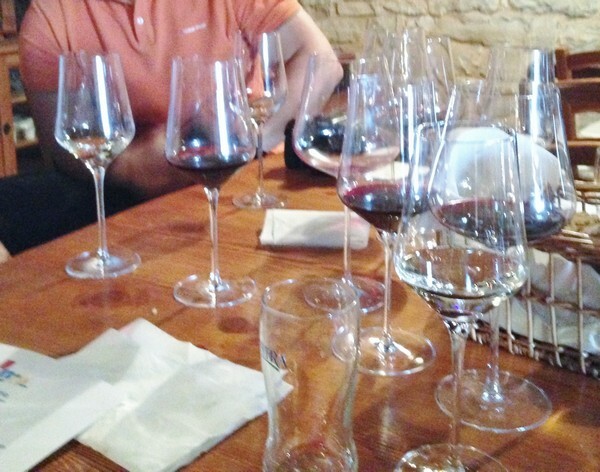 One of the highlights of the Accidental Locavore’s recent trip to Croatia was the chance to learn about a whole new (to me) country’s wines. 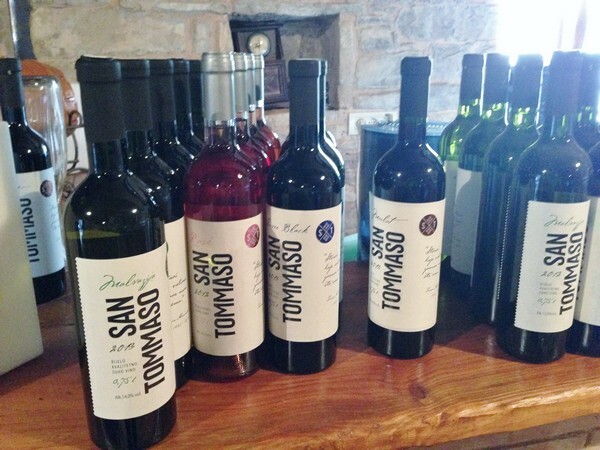 In just the section we were in, Istria, there are over 130 wineries. 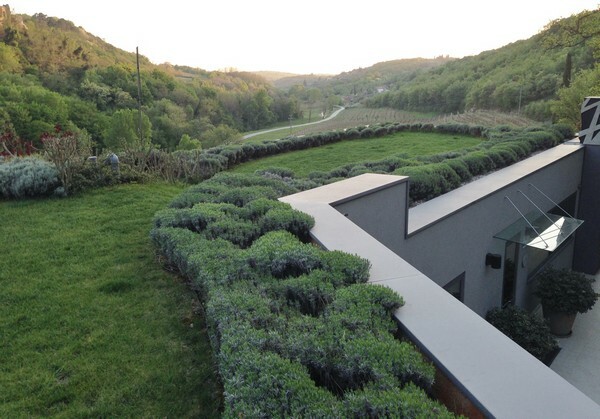 Most of them produce a version of Malvazija , the local white wine, but some of them are branching out and planting all sorts of grape varieties. 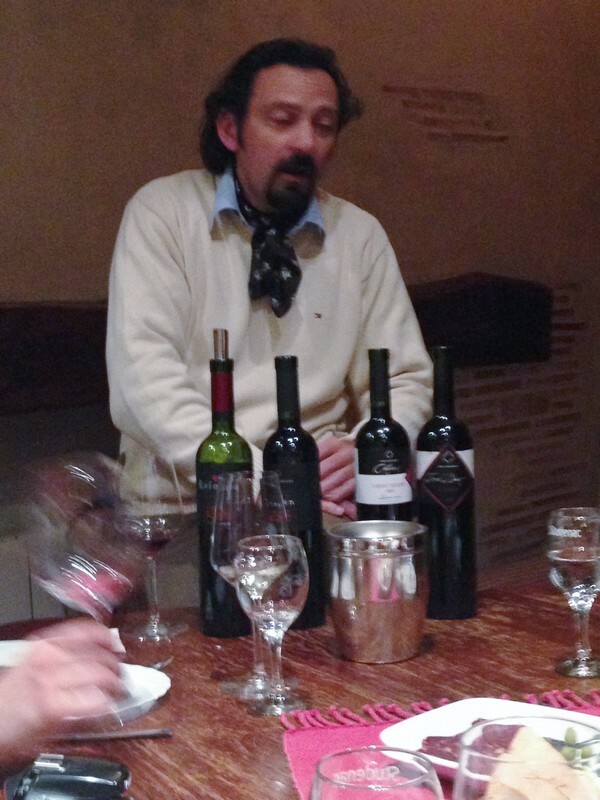 On a typical day we would have at least one tasting, usually of four or five wines, lunch with at least three wines, dinner with three or four, not to mention welcome toasts, aperitifs or after dinner drinks of grappa, slivovitz, hugos, etc, etc. 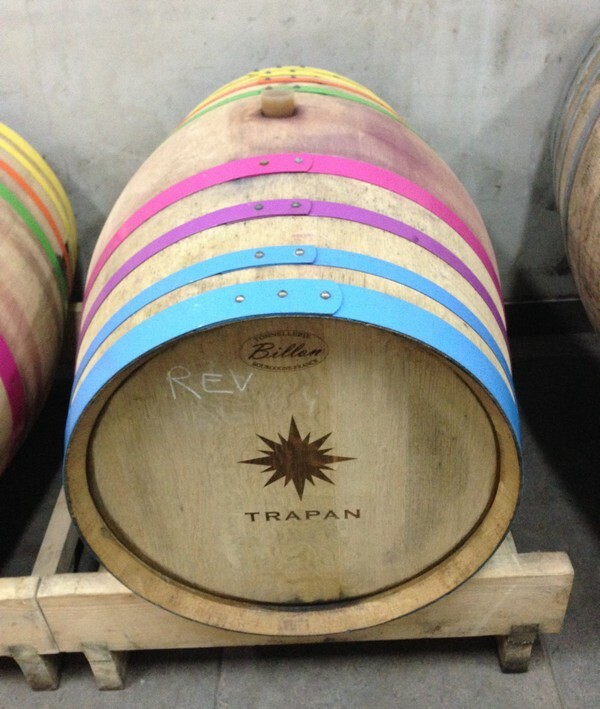 It’s not a hard-drinking country, just a culture that’s welcoming and proud of its viniculture. Sadly, most of it isn’t imported to the US yet, so we had to drink it there. But, if I stop to add up all the glasses, and not even individually, but as types, the numbers are a bit staggering (even though none of us were). Day 1: Welcome toast at La Puntulina for dinner, Malvazija with dinner. Total 2-just a warm up. Day 2: Tasting after foraging for wild asparagus at San Tommaso of their Malvazija/Chardonnay blend, a Merlot, and with the asparagus risotto, a Teran. 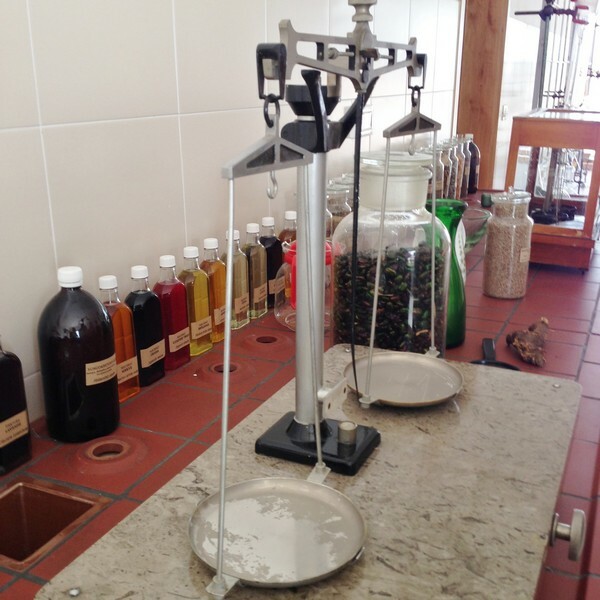 Brandy or slivovitz with Boris after touring the Aromatica (and seeing his large apothecary jar of Spanish fly). Tasting at Trapan of sparkling rosé, followed by a rosé, two Malvazijas, and two reds (one of them named Nigra Virgo-black virgin). Dinner at Milan with a sparkling white, another Malvazija. Total 12. Day 3: Welcome grappa toast (your choice from three) and Malvazija for breakfast before the truffle hunt, Sparkling rosé, Malvazija and Porco Rossa at Toklarija for lunch. 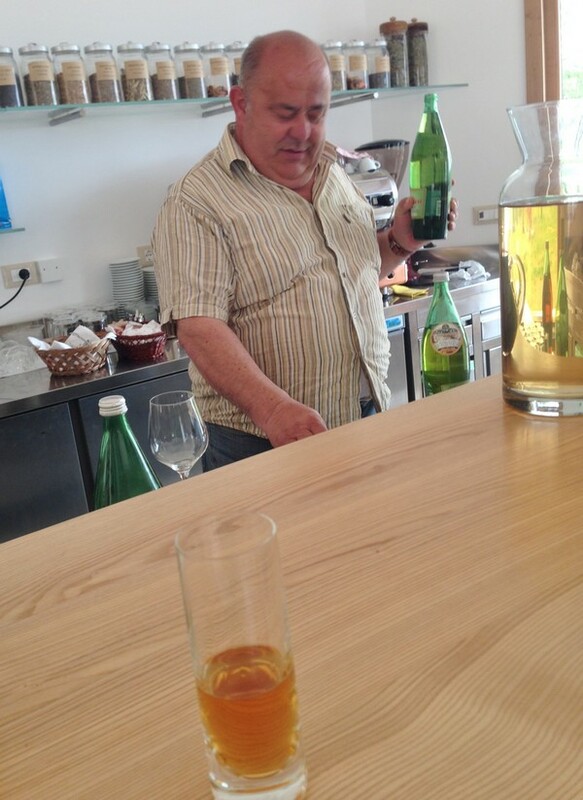 Olive oil tasting at Ipša that turned into a chance to try their new Malvazija. 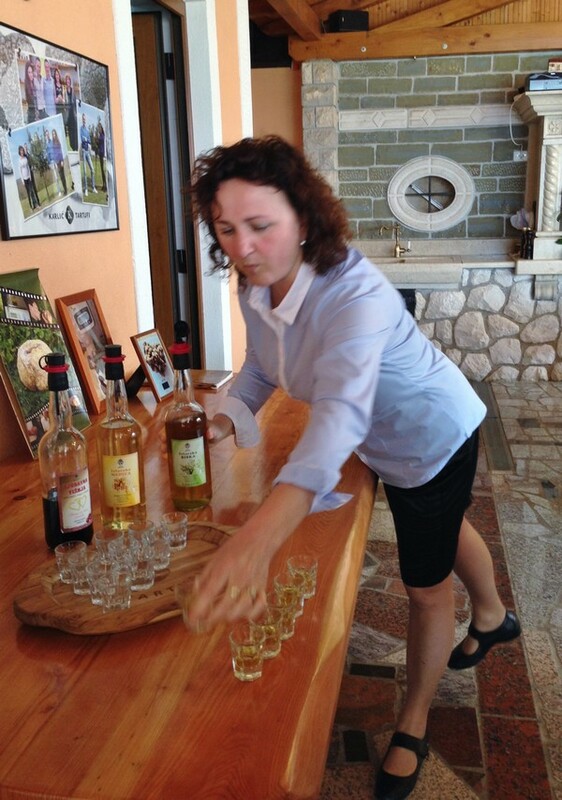 Tasting at Kozlovic of two whites, a rosé and their Teran . 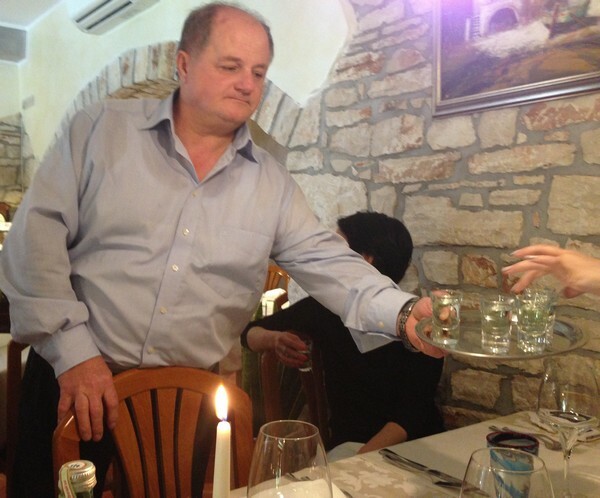 Another grappa toast at Stari Podrum at dinner and your choice of red or white (or both). Total 12-13. 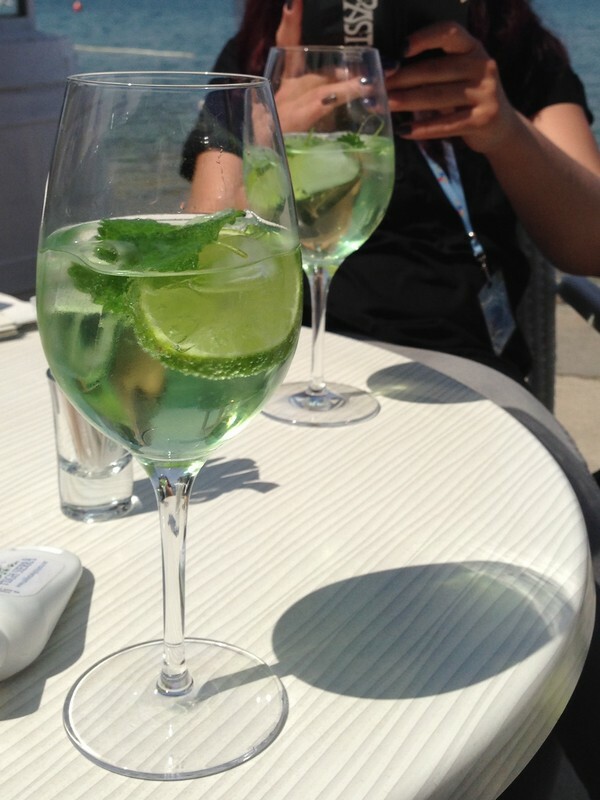 Day 4: A couple of Hugos (going to be my go-to summer drink!) at Vitriol cafe on the beach. Grappa toast and a lot of Malvazija at lunch at Čok. Eight (4 white 4 red) at Degrassi tasting and finally five more; sparkling, two whites, a red and a dessert wine at dinner. After dinner drinks were turned down–no idea why. Total 16–finish strong! Rough count of 42-OMG! Stay tuned for a report on what I liked and loved, and what I wish were available in the US.